Józef Wittlin, like Homer’s Odysseus whom he so much admired, was a man of many minds, human experiences, geographical and national homes. Born in Galicia, then part of the Austro-Hungarian Empire, he would come to be hailed as one of the most important voices of a new-born independent Poland. A Jew by birth, a Christian by choice, he would bridge throughout his life cultures, histories, faiths, perspectives, always seeking an individual and ecumenical haven. As he would write in the preface to his translation of the Odyssey in 1922, “Sitting in a smoky café, small offices, ateliers or workshops, you are missing your Ithaca like Odysseus about whom I will sing a song today…” This was also the year when another admirer of Homer would publish his Ulysses, and a poet with a torn conscience his Waste Land. Wittlin possessed the gift of evoking the shadows of such a lost world in a haunting manner that transcends words and time. For Philippe Sands, who would ‘co-author’ with Wittlin a book on Lwów/Lviv, the latter “opened up the imagination”, provided a way into memory, the very heart of the soul one may call transcendentally and archetypally human. Wittlin left Europe in 1941 for America, escaping the Nazis from Paris. He would spend the remaining years of his life in New York, translating, writing, speaking in public about stories and history, about the duty of being human. His most famous work, The Salt of the Earth, came to stand as one of the primary WWI narratives and was an immediate success, translated into English by Pauline de Chary for Methuen & Co. in London in 1939, only four years after Wittlin’s original was published in 1935. It captured the hearts and minds of readers across the Western world, becoming a landmark of the interwar imagination. Wittlin’s hero, Piotr Niewiadomski, was even in name the Unknown Soldier, the unnamed Everyman engulfed and gobbled up by a history that had become a nemesis and a nightmare. Piotr is the ‘salt of the earth’ not so much by virtue of his individual drama and humanity, his martyred pathos or tragedy, but rather because of his nondescript uncomplicatedness, his naïve perspective or even lack of perspective, the very simplicity and dullness of his mind and being. 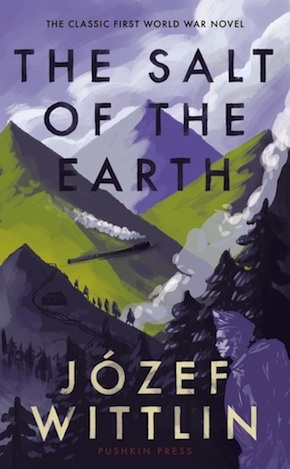 The Salt of the Earth was intended to be the first part of a trilogy tracing the transition from a past of imperial subjects and a fast-dissolving world order, to a modernity in dire need of new foundations and even newer definitions. None of this latter material has survived, except for a short section from the second part, which Wittlin had entitled Healthy Death. This forced, fragmentary self-sufficiency endows the work with a particular poignancy and gives it a marked sense of fatality and starkness. The end of a nation and of an era defines the highly dramatised first part, as well as a narrative gesture situating the new point of focus and perspective. Unlike Mann, Roth and Zweig, Wittlin’s universe is that of the simple, the lesser, the undistinguishable and the inconsequential. History changes faces as well as hands, actors become onlookers, and Wittlin presents us with the sense of an ending and apocalypse by way of a determined process of defamiliarisation, through a distinctly ironic, yet never sarcastic perspective, tone and theatricality. Cocteau’s Thomas the Impostor meets Brecht’s Mother Courage and Erich Maria Remarque’s All Quiet on the Western Front. It is a technique that is both unsettling and engrossing, indulgent and forceful. The dark tragedy of a world war, the collapse and eradication of an entire topos of history, humanity and culture becomes a tensely rhythmed black comedy. The past is a caricature and a travesty, Wittlin seems to say, the future a terra incognita that everyone rushes heedlessly to conquer. War is a machinery, a lethal and industrious one, and Wittlin again orchestrates the tonality, the pace and the bassline of its roaring undertones, rising din and deafening onslaught, as well as the dead silences and pauses in the score that is the life of the single individual or the nameless many. WWI emerges as not only a war between nations or classes, but especially as a clash between orders and conceptions of time and eternity, a confrontation between modernity and a still feudal, pre-industrial society and frame of mind. It is a war that could have easily been transposed onto Napoleon’s campaigns or Goya’s Black Paintings, if it weren’t for the magnitude of the carnage, the nascent awareness that there is more to life than mere existing. There is a stark juxtaposition between a naïve yet brutal pragmatism and a sense of inescapable, all-pervasive and personified magic realism, driving human lives almost with relish towards an ultimate precipice. In one of Wittlin’s most startling images, a Pope dies; a battle begins; Piotr snores. Piotr is the son of a queen – his mother’s name is Wasylina; he is the namesake of Saint Peter, yet he does not hold the keys to any paradise, earthly or heavenly. He is shrewd, wily and dumb in turns, moving and revolting, troubled and distinctly troubling. The Salt of the Earth is a paean to death, yet not a song of lament to life; it is messianic, apocalyptic and unsettlingly prosaic, and it leaves the reader with as strong a sense of loss, tragedy and pathos, as well as with a shocking sense that there is something deeply sinister in its subtext. It is a crucial lacuna noted also in 2017 by Uilleam Blacker in Mosaic, who notes that “Wittlin does not dwell on the matter, but neither does he shun it – it is always there, throbbing, like a hidden wound, underneath the superficial lightness of the text.” As is true also of the texts of Irène Némirovsky, it would be a consolation to think that this is perhaps one way of looking at them. The Salt of the Earth is a tableau of a decaying, dismembered empire, out of which Poland would be born in 1918. Article 39 of the Treaty of Versailles obliged the new Polish government to abide by a further treaty that would guarantee the rights of minorities. As Philippe Sands points out in a 2012 NYRB piece, ‘Before the Nazis: A Ukrainian City’s Contested Past’, “By the mid-1930s, the Polish government had renounced the Minorities Treaty and a darker story began.” The Salt of the Earth is a daguerreotype of that darkness and the many stories behind it. Whether it is a guiltless transcription of that moment in time is perhaps the most tragic aspect of the events and circumstances, the world it evokes and depicts. If anything, Wittlin’s novel bears witness, whichever way one reads it, to the power of deception and misperception, to the proclivity of human groups throughout time to blindly ignore or to uncritically perpetrate, even endorse what is most inhuman. And that is certainly one of the darkest, most lethal forces that have ever damned and condemned the past, the present and the future of mankind. 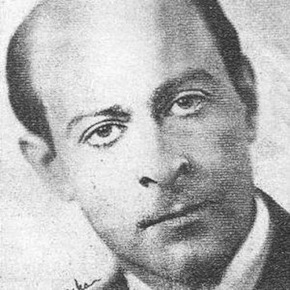 Józef Wittlin (1896–1976) was a major Polish poet, novelist, essayist and translator. He studied in Vienna, where he met Joseph Roth and Rainer Maria Rilke, before serving in the Austro-Hungarian army in the First World War. His experiences during that war inspired him to write The Salt of the Earth, which was awarded the Polish National Academy Prize, won Wittlin a nomination for the Nobel Prize, and has since been translated into 14 languages. The new translation by Patrick John Corness is published in hardback by Pushkin Press. Patrick John Corness is Visiting Professor of Translation at Coventry University. His main interests are in the theory and practice of literary translation, including translation analysis, parallel translation corpora, and literary translation from Czech, German, Polish, Russian and Ukrainian.